Apart from the race-spec Apache 310, TVS has also unveiled the race-spec Apache 200 which will be used for the TVS One Make Series. Power – It produces 24 PS of peak power at 9300 rpm. In comparison the road going version churns out 20.5 PS of peak power at 8500 rpm. 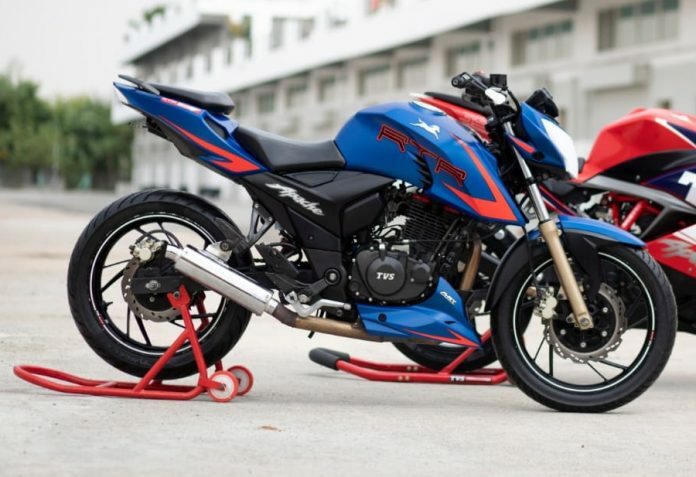 TVS claims a top speed of 145 kph which is significantly higher than the 128 kph it claims for the regular variant. The motorcycle uses 17 inch Pirelli tyres with hydraulic dampers. As you can see, the race-spec Apache 200 belts out Pulsar 200 rivalling power but has a higher top speed (Bajaj claims 140.8 kph for Pulsar RS200) but this one would be significantly quicker off the block! 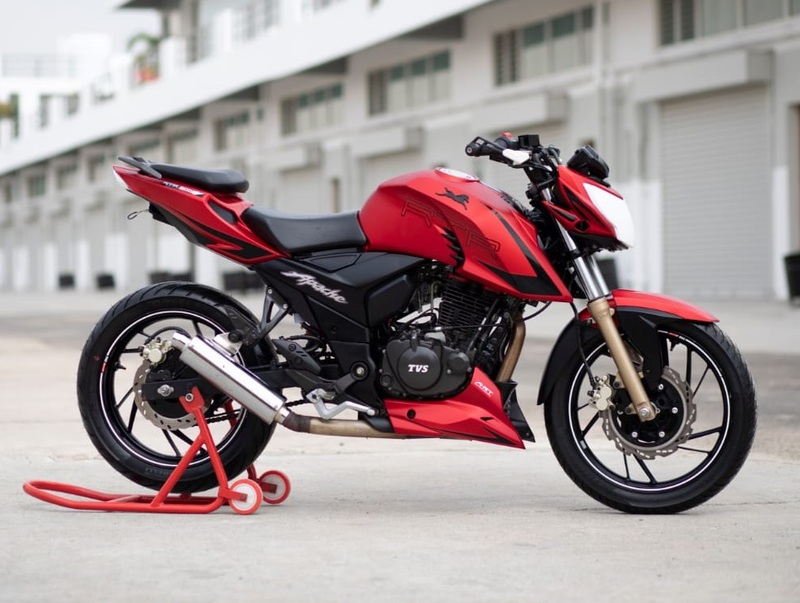 TVS Reveals Apache 310 Spare Prices & They are Costly! This also, kind of, reveals what tune the Apache 200 could be increased to and future iterations of the motorcycle may see power bumps and increase in performance. We already like the current version for its agility and you can read our review here.